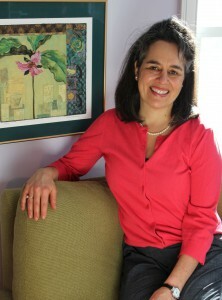 Dr. Amy Rothenberg is known for her lively lectures to lay and professional students throughout this country & abroad. She particularly enjoys teaching how homeopathy fits into the larger natural medicine scene. She has taught for The International Foundation of Homeopathy, The National Center of Homeopathy, state and national naturopathic physician associations as well as at medical conferences, medical schools, colleges, naturopathic schools, and for various industries. Dr. Rothenberg is adept at creating a community of learners where a supportive and encouraging environment is valued. Beyond the homeopathic knowledge and process of practice she teaches, Dr. Rothenberg brings her experience as a parent of three grown children to her lectures and peppers her talks with practical and useful advice. A graduate of Antioch College with a degree in Biology and the National College of Naturopathic Medicine, Dr. Rothenberg is Board Certified in homeopathy and maintains a private practice, Naturopathic Health Care, in Enfield, Connecticut. Dr. Rothenberg’s book, The A Cappella Singer Who Lost Her Voice & Other Stories from Natural Medicine, describes her work through patient narratives. She has long been a contributor to journals and magazines that highlight the efficacy and scope of practice of homeopathy and natural medicine. She was the editor of the pacesetting New England Journal of Homeopathy, published from 1992 to 2002. Dr. Rothenberg is often interviewed by members of the media and by other authors who seek information about homeopathy or who are looking for a natural medicine angle on current health care topics. When not busy with the world of natural medicine she enjoys life with her husband as well as getting exercise, doing yoga and playing in her art studio.